Click Here for Other Resources on EMF, RF, etc. Electromagnetic fields (EMF) and radiation (EMR) emitted from cell phones, PDA's, Bluetooth headsets and other electronic devices are known to compromise health and well-being. Use of these devices has been linked to various stress-related ailments. Also, Ultra Low and Extremely Low Frequencies (ELF) from other electronic appliances contribute to the debilitating stress. Prolonged and repeated exposure to aggressive EMF, EMR and ELF causes a measurable stress response, a negative shift in energy in the human bio-field. Additional studies have linked electromagnetic pollution to health concerns like fatigue and tension, as well as potentially much more dangerous conditions. Click here to read a very important article by physicist, Dr. Barrie Trower, on the harm of microwaves and wi-fi. The GIA Wellness cell phone chips, universal chips, pendants and "Harmonizers" (for home and car) address these sources of stress in our lives. GIA's EMF/EMR products utilize the proprietary GiaPlex™ technology, which combines the benefits of two powerful, innovative, scientifically substantiated technologies: the patented noise field nano-technology MRET® (Molecular Resonance Effect Technology), and the proprietary subtle energy innovation ERT™ (Energy Resonance Technology). Individually and collectively, these cutting-edge technologies work to counteract the stressful effects of your exposure to EMR and to reinforce the body's natural resilience to stress at the same time. This is the way to deal with the cumulative stress associated with living in today's electronic environment. 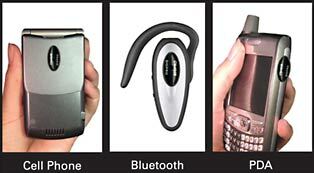 The Cell Guard™ chip can be used on your cell phone, smart phone, Bluetooth, PDA or digital music player; while the Universal Guard™ chip is used for any electronic device: home phone, car, microwave, computer, game consoles, etc. The GIA cell phone chips and universal chips are resilient and long lasting. Each flexible resin mylar composite chip has a strong adhesive for ease of use as well as durability. Once placed on a device you need not worry about maintenance. They will maintain their integrity for at least three years of usage, after which it is recommended to replace them. This makes for a very convenient and economical product. On some devices you may need only one chip, on others you may need two, three or more depending on the nature of the device. How Many GIA Chips Do I Need? *These statements have not been evaluated by the FDA. The products and/or technologies listed are not intended to diagnose, treat, cure, or prevent any disease. for independent validation of the technologies used in GIA products. GIA's advanced protective technology will NOT affect or interfere with the signal strength of a phone or the efficacy of an electronic device. GIA Wellness chips and pendants are water and heat resistant and will remain fully effective for a minimum of three years. GIA Cell Guard™ Chip | GIA Cell Guard™ "Sliver"
Click here to watch a video on the GIA Cell Guard Chips. Click here for customer stories about the GIA chips. IMPORTANT NOTE: Different phones and various other electronic devices emit and/or receive different frequencies. A GIA chip adapts itself to counter the frequency emitted by the device to which it is first applied and SHOULD NOT BE TRANSFERRED to another device, on which it would not be properly effective. Also, once peeled off and reapplied, a Cell Guard™ chip may not adhere properly and could be lost. Suggested Retail: $43.95 plus tax and shipping. Our low price: $39.97 plus $8.75 for tax and shipping (in U.S.). 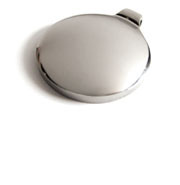 one GIA Cell Guard™ "Sliver"
Suggested Retail: $162.50 plus tax and shipping. 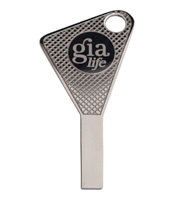 4-Pack of GIA Cell Guard™ "Slivers"
Click here to watch a video on the GIA Universal Guard Chips. Once again, GIA Wellness is leading the way in bioenergetic innovations with its UNIVERSAL GUARD™ CHIP. This revolutionary chip offers the most advanced, dual action technology to address stress where you live, work and play. Its universal application means the same chip can be applied on all your electronic tech gadgets (wired or wireless), household appliances, etc. – all of which emit various levels of electromagnetic fields (EMF) or electromagnetic radiation (EMR). IMPORTANT NOTE: Different electronic devices emit and/or receive different frequencies. Suggested Retail: $98 plus tax and shipping. Suggested Retail: $283.50 plus tax and shipping. Suggested Retail: $509.50 plus tax and shipping. 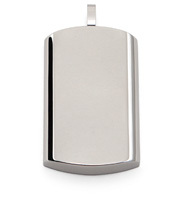 Click here to watch a video on the GIALife Pendants. The GIA4life Pendant™ - The future of body-worn applications to combat life's stressors, such as electropollution, and many others. Powered by GIAplexTM Technology. Wear it full time for protection wherever you go. Stress acts as an age accelerator, as well as compromises our health, immune system, and our body's natural resistance to negative influences. One of the major external stressors in our environment is Electromagnetic Fields (EMFs). - NEW! 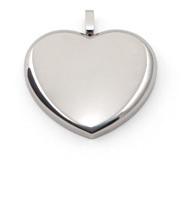 - The energetic core of a GIA4Life Pendant is now transferrable from one pendant to another. 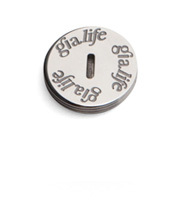 A GIA4life Pendant provides you with a calming, body-worn bioenergetic solution to help you deal with everyday debilitating stress, including electromagnetic radiation (EMR). Stress acts as an age accelerator, and can also compromise our health, immune system, and our body's natural resistance to negative influences. 8 out of 10 say that when using GIAlife Pendant, they feel significantly less stressed and much more balanced during the day. 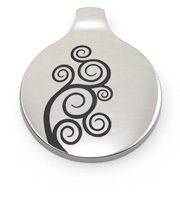 9 out of 10 say that they would definitely recommend the GIAlife Pendant to other people. 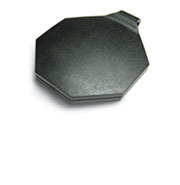 Octagon-shaped, light weight black plastic housing make it ideal for children and young adults. 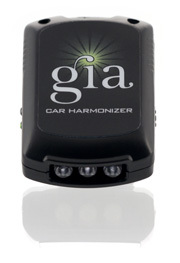 Click here to watch a video on the GIA Harmonizer. 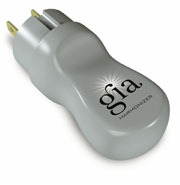 Plug the GIA Harmonizer™ into a centrally located wall socket or power strip in your home and/or office environment. It will cover up to a 60 foot radius from where you place it. For best results, use the GIA Harmonizer in rooms where you spend the majority of your time. Wearable relief for stress and strain. Click here to watch a video on GIA Smart Strips. Click here for customer stories about the GIA Smart Strips. GIA Smart Stix are 1.5" dual-sided adhesive discs for aid in positioning/application of GIA Smart Strips. Each Smart Strip Set include 15 Smart Stix. Smart Stix refills are available for purchase. Suggested Retail for the GIA Smart Strips Set is $285.35 + tax and shipping. Our low price is $277 plus $27.00 for tax and shipping (in U.S.). "When I was introduced to the Cell Chip . . . , I was skeptical regarding its validity. However, after putting the chips on my cell phone, I no longer get a hot ear after continued cell phone use, and I feel less stressed." "For months I had suffered a drilling pain in my shoulder that neither chiropractic nor massage therapy could ease. After just a few days of having the cell chips on my cell phone, I woke up one morning to discover my discomfort gone! Completely gone! "Over the next several days I noticed that I was bouncing out of bed more quickly and had more energy throughout the day. Many people commented on how energetic I seemed. I am convinced that EMF was zapping me of strength and causing me a great deal of stress. Thank you for a great product!" "My husband is constantly using his cell phone since most of his business day is spent on the road. He always complained about pain behind his ear. Doctors could not provide him with a medical explanation. A friend sold us the cell chip knowing that it might alleviate my husband's discomfort. After only 2 days of the chips being on his phone, the discomfort disappeared." - Simultaneous Application of a Spatially Coherent Noise Field Blocks Response of Cell Cultures to a 60Hz Electromagnetic Field" | Department of Physics, Biology, and Institue for Biomolecular Studies, The Catholic University of America. - Energy Resonance Technology (ERT): A Targeted Intervention For Electro-Magnetic Radiation (EMR) Induced Biological Effects"
- The Principles of Energy Medicine" | Donna Eden and David Feinstein, Ph.D. IF YOU WANT TO PAY BY PHONE using either your checking account or a credit card or debit card, call us toll-free at 1- 800-542-1923, 10 am to 5 pm Eastern Time, Monday-Friday.